The American Audio ck 800 Mp3 is a premium quality all-in-one dj console. With convenience of an integrated mixer and dual cd players, this console is a one-stop solution for cd, mp3 and creative dj,ing. The mixer section has additional line inputs for external devices such as extra cd decks, mp3 player or ipod for further expansion. The slick mixer interface has 3 band Eqs on each channel, fluid led level indicators accurately display input levels and the unit feature slick faders for smooth mixing or sharp cutting. Fader start on the equally slick crossfader allows for delay-free relay playing of music. Each of the The mp3 cd decks benefit from anti-shock, fader start, pitch bend and a variable pitch range for smooth, uninterrupted mixing sessions. Large, responsive, jog wheels allow for easy tempo alignment & seamless looping and tempo lock feature mean you can get into hot-mixing of mp3 tracks, without the massive investment of standalone equipment. Intelligent displays, versatile outputs and a lightweight design finish a very accomplished, portable dj system. Considering purchasing the American Audio CK 800 Anti Shock MP3 CD Mixstation? Have questions? Ask people who've recently bought one. Do you own the American Audio CK 800 Anti Shock MP3 CD Mixstation? Why not write a review based on your experience with it. 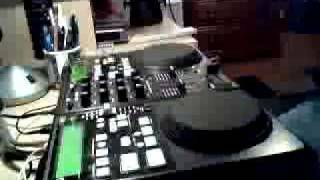 Seen a video for American Audio CK 800 Anti Shock MP3 CD Mixstation online or have you own video? 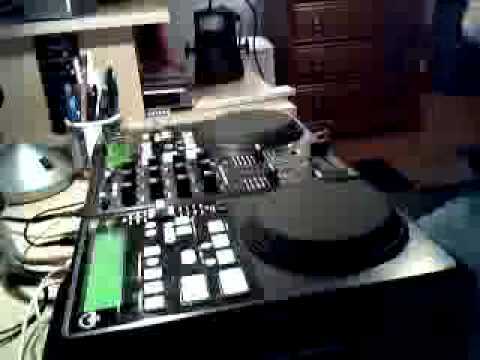 Check out American Audio CK 800 Anti Shock MP3 CD Mixstation on DJkit.com!